Much-loved country duo, McAlister Kemp, recently announced that they will take a break from working together in 2015. Due to overwhelming response from fans, 'The Best of 2008 -2014' is being released to celebrate their partnership to date. Comprising of Drew McAlister and Troy Kemp, McAlister Kemp released three studio albums across the past six years, topping the ARIA Country Albums chart and the Country Radio Airplay chart, taking out a CMC Music Award, earning a slew of Golden Guitar nominations, and performing to audiences of thousands both in Australia and in the US. 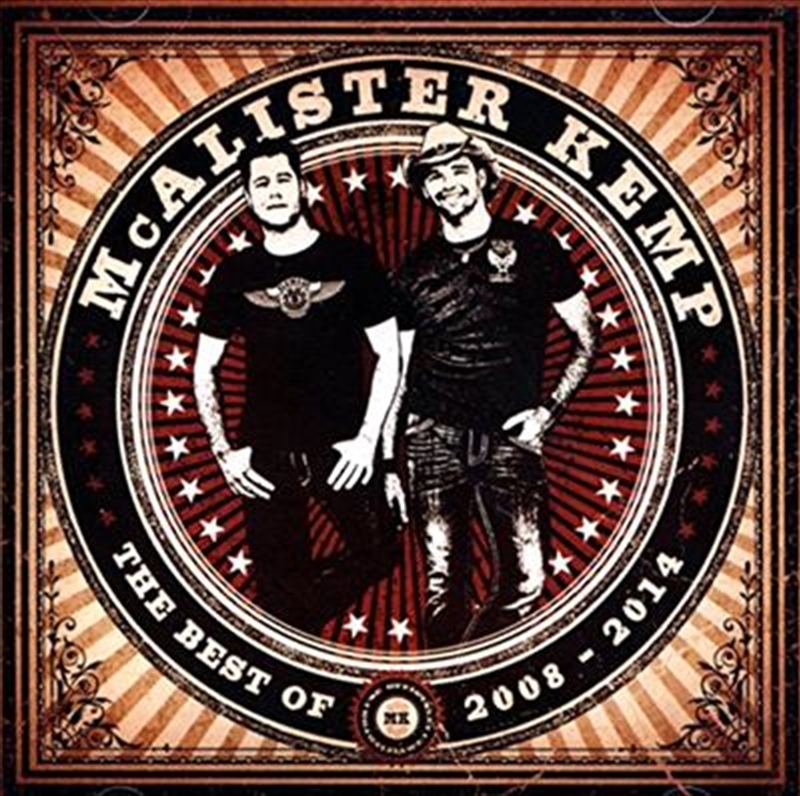 The McAlister Kemp 'Best Of' features all of their biggest hit singles; newly recorded tracks; the previously physical unreleased Anzac single; as well as a collaboration and live songs. A must have for fans!